We have established ourselves as an eminent Exporter and Supplier of Refined Palm Oil from Thailand. Over the years, we have gained expertise in sourcing, stocking, cleaning and packing of Refined Palm Oil. 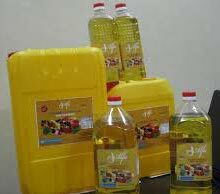 Now, we have ventured into supplying Refined Palm Oil in both retail and bulk quantities. Also, we have a vast distributed network that enables us to reach buyers within the committed time frame. Refined Palm Oil is “refined” in its true sense.